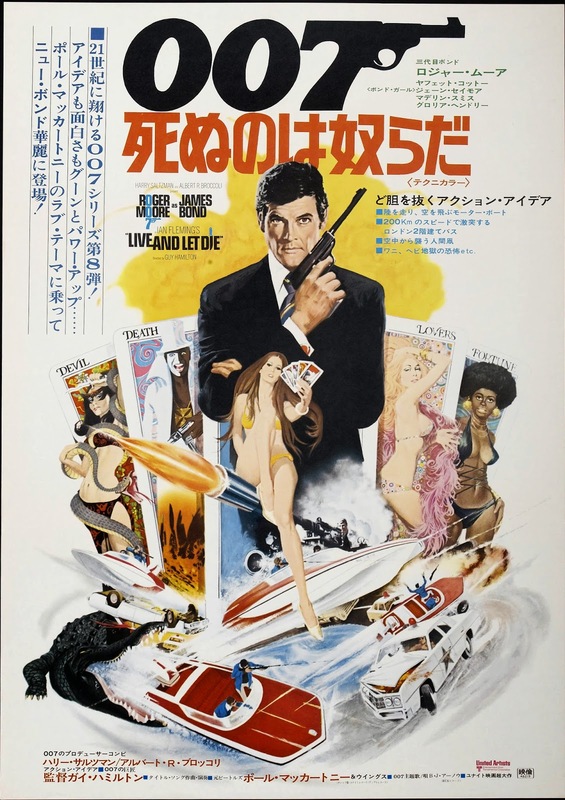 At times Live and Let Die is like an anti-Blaxploitation movie. Of course, it is very much a product of its time, and there is no serious slight intended, but watching it you are reminded of just how far society has come in its representation of ethnic groups, so far that the film’s often prejudiced content comes across as kitsch rather than offensive. Our ‘superfly’ cast are slick, drug-dealing criminals who occasionally dabble in voodoo, but classic Bond was always a franchise steeped in stereotypes, regardless of race of creed. Go back far enough and there is reason for everyone to be offended. 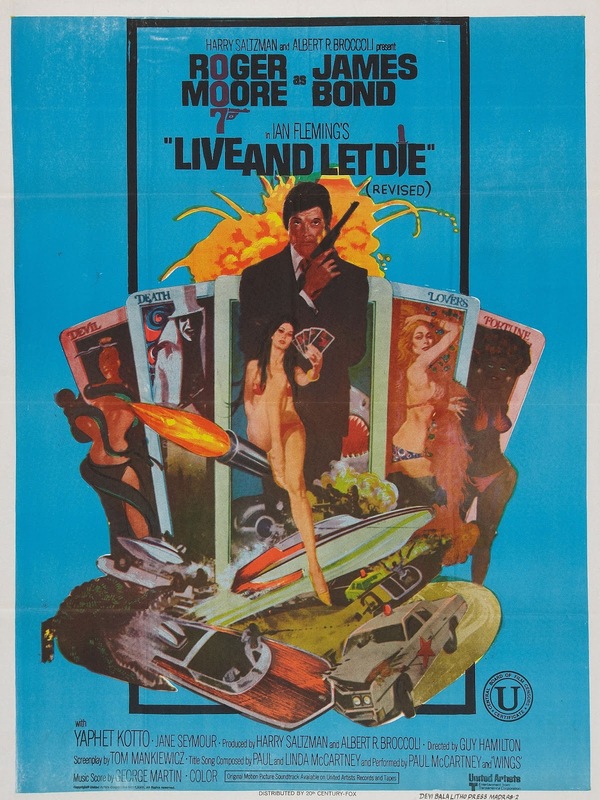 Conversely, Live and Let Die features the first instance of inter-gender frolicking, which one could cite as something of a landmark, even if it was a flagrantly sexist one. Of all those groups with reason to be offended, the female gender was undoubtedly head and shoulders above the rest, and it would be decades before that particular issue was amended. The James Bond series is one of those rare exceptions when we are able to accept such black and white delineations. This is a larger-than-life world which has very little to do with reality and is certainly no reflection on the real world. Live and Let Die seems to tread a precarious line in terms of actual plot, with a somewhat low-key story set in predominantly black areas of the United States. Feeding off the blaxploitation films of the period, Bond is tasked with bringing down international drugs baron Karanga, a crook with ties to the Caribbean who plans to flood the streets with heroin and create a nation of addicts. In typical Bond fashion, the movie taps into real-life social issues in a manner that is both accurate and vastly overblown. Their criminal subjects cater to the most narrow-minded of political viewpoints, but their embellishments are so caricaturistic you would have to be a cynic to take them seriously. The fact is, eight instalments into the franchise and you should be prepared for such an exaggerated formula, particularly since Live and Let Die is the first to feature a brand new leading man. After almost a decade of the handsomely rugged Sean Connery, with an anomalous dash of Lazenby in-between, this is Roger Moore’s first outing as the irrepressible super spy, and despite the odd hiccup as the actor gets to grips with that role that he would make his own for more than a decade, it doesn’t take long for him to slip into his sleek and silken facade. Say what you will about Moore and the character’s eyebrow-raising descent into innuendo, but he is just as iconic for one generation as Connery was for another, and purists tend to forget that the series had been heading in an increasingly cartoonish direction since 1964’s Goldfinger. Moore may have lacked the brutality of Ian Fleming’s literary hero, but an attempt at employing a Connery clone would almost certainly have ended in disaster, and his eventual successor’s casual suave is just as befitting for his time and place. Miss Caruso: Such a delicate touch. James Bond: Sheer magnetism, darling. Moore’s immediate impact not withstanding, this is very much classic Bond, a movie with exotic locations, fantastical characters and the kind of elaborate set-pieces you could not find anywhere else. Geoffrey Holder’s snake-handling voodoo man, Baron Samedi, may be borderline offensive, but nobody can doubt his iconic status, from the exuding mythos that keeps drug lair intruders at bay to the startling face paint and emblematic cackle that precedes the end credits, this is Bond at its most colourful and grandiose. Tee Hee (Julius Harris) is perhaps just as memorable, his pistol-bending claw and unhealthy fascination with alligators making him the perfect foil for Moore’s acerbic-tongued Lothario. Though not the movie’s main antagonist, Tee Hee is directly involved in two of its most enduring moments: a train-bound scuffle following a rather refreshing false ending and one of the most memorable set-pieces in the entire series as Bond hops across a row of snapping crocodiles for yet another unlikely escape. It there any feat beyond the capabilities of cinema’s best-loved super spy? There are some less charming characters on offer. Gloria Hendry’s Afro-sporting Rosie is wholly unconvincing as a fake spy sent to fool the world’s most cunning agent, even if she does represent a move forward racially as already mentioned, while screenwriter Tom Mankiewicz fails to fully tap into Yaphet Kotto‘s unlimited acting potential in a twin role as both Karanga and reputed associate Mr Big, although his brief turn as a pimp-rolling daddy is certainly one to remember. Jane Seymour is bland but beautiful as oppressed tarot reader Solitaire, and her decision to jump into bed with a self-centred Bond at the potential expense of her own life is more than a little questionable. In terms of Bond girls, this one has beauty in abundance but lacks that certain sparkle. We also have the introduction of notorious comedy character Sheriff Pepper, a tobacco-chewing yokel with a penchant for calling black fellers ‘boy’ and generally making a fool of himself. Pepper’s ostensible purpose is to bring balance to the racial stereotyping, representing a moribund generation of ignorant white trash in a manner that is equally offensive. 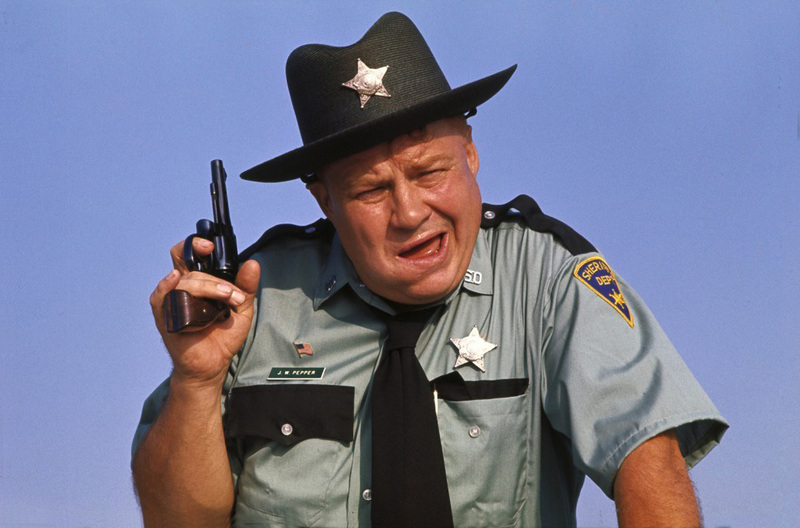 Clifton James is excellent in the role, regardless of what any of us may think of the character, deftly capturing the kind of farcical action that would become a running theme in later Moore efforts. Annoying and inessential he may be in the minds of many, but in many ways his performance would prove a seminal turn in the series, and although his reintroduction as a xenophobic tourist in 1974’s The Man with the Golden Gun would be greatly unappreciated, you have to give the actor credit for what would prove a notable legacy. 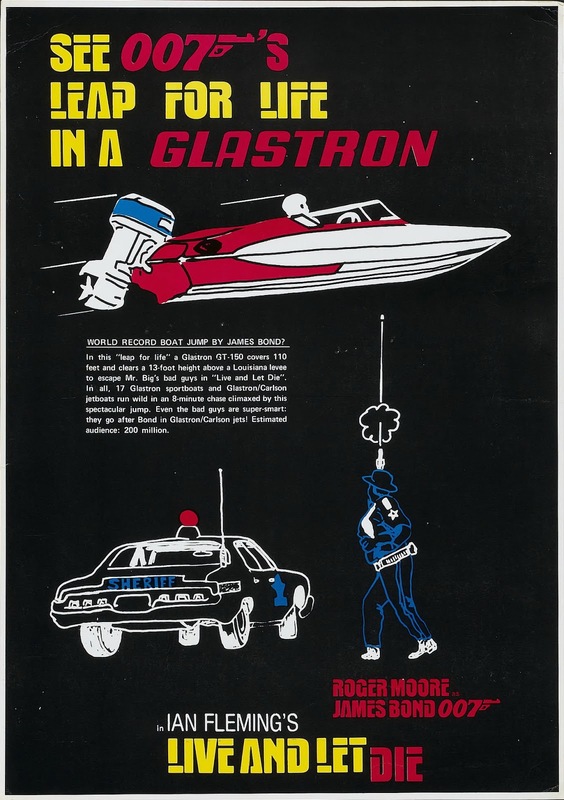 Perhaps another stigma attached to Pepper’s contribution is the laborious boat chase to which he is a central figure. This was the first time composer John Barry took a back seat, and George Martin produces a somewhat maladroit soundtrack that leaves major segments of the scene unscored, resulting in a clumsy and largely ponderous action sequence which typifies the instalment’s often stumbling nature. This results in too much screen time for James’ bumbling Sheriff, and his increasing annoyance is conducive to the sum of the scene’s parts. In spite of the movie’s quintessential elements, this is a new Bond treading unfamiliar ground, and naturally that ground is often shaky. Solitaire: [Kananga has just exploded after having a gas pellet shoved into his mouth] Where’s Kananga? James Bond: He always did have an inflated opinion of himself. But for me, the series is all about memorable moments, and Live and Let Die provides more than its fair share, with revolving wall booby traps, oddball set-pieces and a nifty gadget which proves essential in defining Moore’s brazen variation on a long-established character. Bond’s magnetic watch was meant to be utilized in many ways: drawing escape vessels, attracting compressed-air bullets for one of the most elaborate deaths in the series, but as thrillingly bizarre as the exploding Karanga was, the device’s true value comes in the form of a dress unzipper, Roger’s salacious spy bedding yet another foreign delight thanks to the unbending loyalty of one Miss Moneypenny (Lois Maxwell). This is perhaps our first window into the Moore so many of us would come to cherish while others simply refused to accept anyone but Connery. Moore may have had his work cut out as Bond went through his first major transition, but not all details depend on the turn of our leading man. 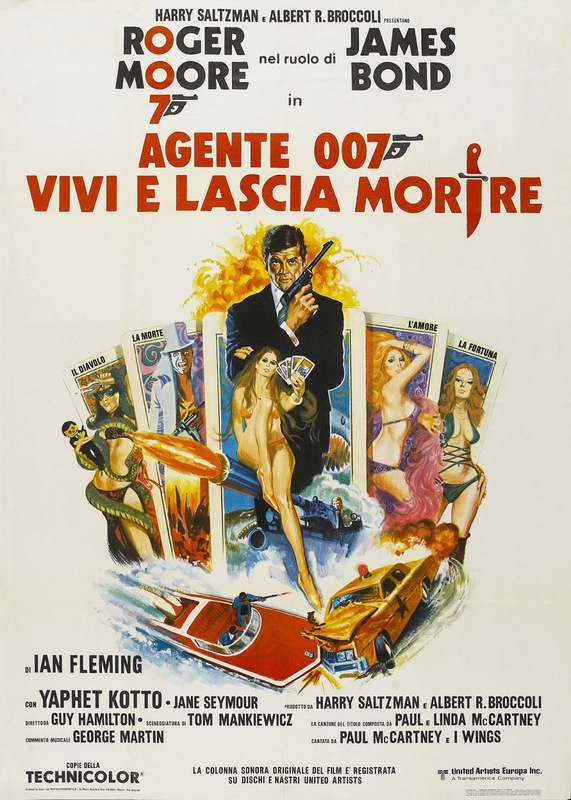 Audiences demand certain winning elements from a 007 production, and of all the components that comprise the Bond marketing machine, the movie’s theme song is perhaps the most important. Live and Let Die‘s titular theme, performed by Paul McCartney and Wings, is easily one of the most memorable. Vastly different to the powerful Bassey-esque ballads which preceded it, it was unique and seminal in both sound and presentation, a rousting effort that sent the Bond formula surging into the seventies. It would also pave the way for the left-field new wave hits that would define the first half of the 1980s, while helping to forge our new leading man’s distinct identity. 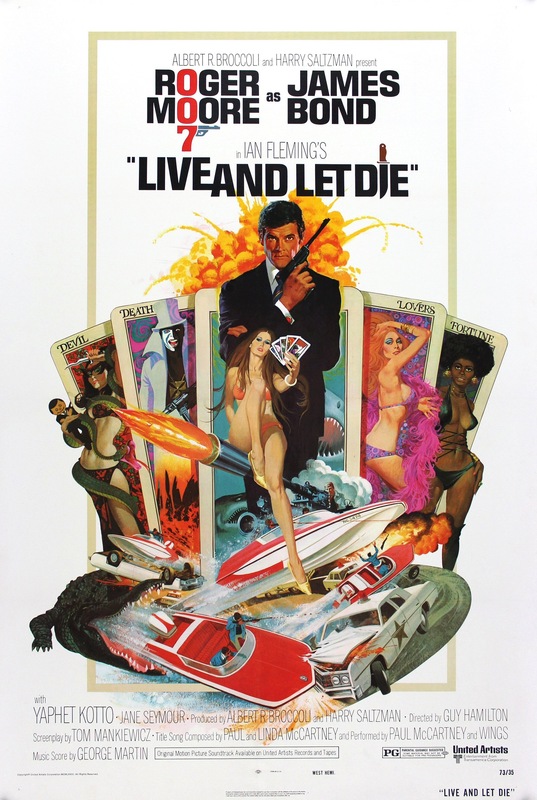 Live and Let Die would receive lukewarm reviews upon its release, but with the mourning of Connery’s loss still very much a factor, this was perhaps only inevitable. It isn’t perfect, and Moore would reach greater heights in subsequent instalments as the Bond formula became much more familiar to him. Still, in the minds of those critics who had fawned over the original Bond’s macho turn, Moore was a bad fit, a man cut from the wrong cloth who was destined to drown in the smugness of his slight frame. But Roger was so much more than the naysayers gave him credit for. He may have been infamous for dodging stunts, but he could play hard-edged when the material demanded, as proven in 1981‘s espionage-heavy For Your Eyes Only, and his portrayal would prove the most enduring, seeing him star in a record seven features between 1973 and 1985. Moore was an actor with an ageless cool, effortlessly debonair with an inimitable sense of humour that won the series a whole generation of new fans, and for me the most befitting Bond there ever was.